MUBKA Full Membership :A member with bees and who is insured with BDI, included is the BBKA and WBKA membership. Your final fee will be adjusted for the number of hives you own as more than 3 hives incurs an additional BDI insurance fee to provide cover for them. 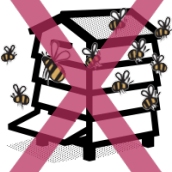 If you currently have 3 or less hives and intended to keep more than this during the year you will need to select the appropiate number of hives choice on the following payment page. Junior: This is subsidised by WBKA where a beekeeper is under 18 years old. An adult BBKA Member will have to be named for insurance purposes. 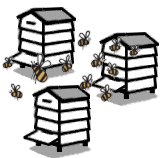 County Member: For those who no longer keep bees, but want to keep in touch and receive BBKA News.